Does the bailout spree signal the end of democracy? “A democracy will continue to exist up until the time that voters discover that they can vote themselves generous gifts from the public treasury. From that moment on, the majority always votes for the candidates who promise the most benefits from the public treasury, with the result that every democracy will finally collapse due to loose fiscal policy, which is always followed by a dictatorship…. These words – the author is unknown – are particularly sobering today. In the past few months, Uncle Sam has bailed out Wall Street, Fannie Mae and Freddie Mac, home-owners, banks, and US automakers, while the incoming administration promises a massive infrastructure investment. Is it any surprise that cities, counties, and states are jostling for space at the federal trough? Who’s next? Big Media? Big Sports? Agribusiness? With the bailout “mother of all precedents,” it’s become difficult for Washington politicians to say “no” to any special interest that’s too massive, too economically important, or too well connected to fail. Nor can politicians forget the poor. Or the crucial swing voters in the “struggling middle class.” And they can’t ignore seniors – AARP members are very vocal. Virtually every group today is trying to meet with the Obama transition team to convey the urgency of its “crucial” spending requests. My local paper recently informed me that our area university is preparing its wish list for infrastructure dollars. Even the National Council for the Social Studies and the American Sportfishing Association have sent pitches to President-elect Obama. Have we gone from “rugged individualism” to the complacency or even dependency of the national trajectory quoted above? At the time of America’s founding, the Federalist Papers discussed the dangers of democratic politicians being forced to count on the votes and support of citizens or organizations too self-involved or uneducated to realize that short-term individual or group gain often precludes long-term prosperity. 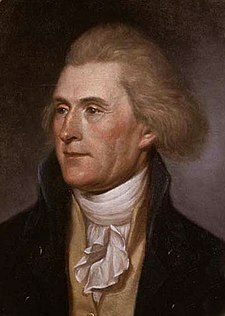 And Thomas Jefferson sought to deal with politicians’ catering to their constituents’ convenience by founding the University of Virginia (UVA). He wanted an informed, intelligent, and thoughtful population in hopes of helping democracy survive. Today, sadly, UVA is the area university I read about in the paper seeking funds for its infrastructure wish list. You are currently browsing the archives for the home-owners category.